(75% are my favourite individual gulls, but I couldn't help but add a few favourite photos too). This obliging Sabine's Gull was a dream come true- only a few feet away and all to myself! Taken in Buffalo, NY in October 2008, I actually blew off work two days in a row... Since that time I've been lucky to photograph several; but you never forget your first. The rare shade of gray via the St. John's, NL Yellow-legged Gull. I was there. I saw it. It was actually a bit of a pain; and took me nearly two weeks before I finally had my first views of the beast. It was worth it. Slaty-backed Gull may well be my Ontario nemesis; and it doesn't help that I "found" one in Newfoundland a few days after arriving... Maybe it's just easier out there? Or maybe they hate me? ;) ... Regardless I was happy to get some quality images of the beast during my stay. An odd addition to this list, I found myself working on my birthday (not the first or last time) and ended up watching/photographing this Herring Gull catching fish in a wicked SW wind for hours... It was oddly entertaining. After failing to photograph the mythical Great Black-backed X Glaucous hybrid while in Newfoundland, I wasn't crazy about my chances at getting some in Ontario. A first year bird wasn't even on the radar. When I had this bird and was thrilled to get the shots! This gull is awesome. I think it's a Herring X California Gull hybrid; but it sure looks a lot like a California Gull... At the time; I'd never found a Cali-gull in Ontario - and was actually dissapointed. Now I've found several Cali's, and may never get to enjoy this rare hybrid again! No affinity for the birds, but always been fond of the image. The burgomaster vs. the king of the gulls. Mano a mano. Boom. (Glaucous & Great Black-backed). I wasn't sure where to fit this bird into the list. I have no particular affinity to the bird itself... It was feeding on rotting garbage... But it is a rare hybrid (Herring X Lesser Black-backed Gull; Appledore Gull) AND I saw the SAME BIRD two years apart right around the SAME TIME). Check it out: 2nd basic, 3rd basic.... (Not only that, it is the two rarest plumages). Pretty neat stuff! 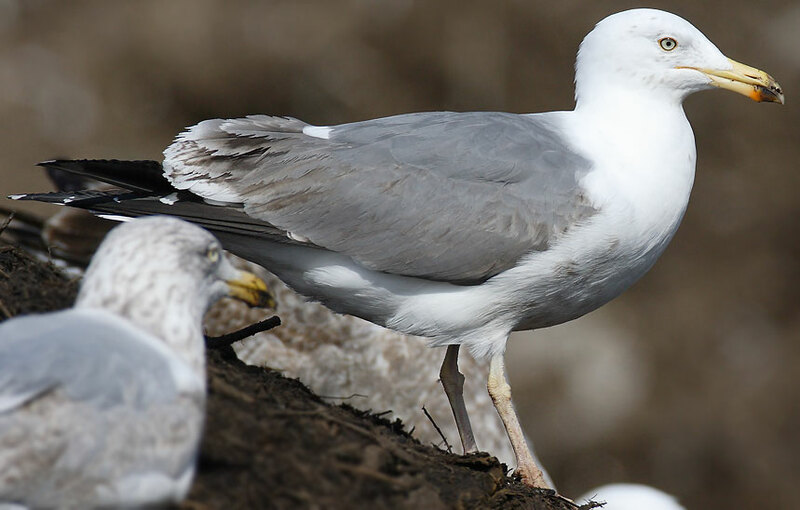 These Black-legged Kittiwakes were seen on October 29th, 2012. October 30th will never be forgotten, but I was STOKED to see this group (especially the 2nd basic) pass right along the beach at Van Wagner's the afternoon before. It was proof that my weather/bird predictions for Hurricane Sandy may be coming true, and that it was only going to get better. (It did, 13 gull species in 2.5 days). I was so excited I barely slept that night. My west coast buddy. I had the chance to do some near-shore pelagic work in 2013 and 2014 near Prince Rupert, BC. The exposure to west coast gulls was a phenomenal experience; with my single favourite gull moment coming from my "buddy" Glaucous-winged Gull that would land on my arm and eat out of my hand. He/she found us more than once (in totally separate locations) and came in to say hi without hesitation. A "pet" Sabine's Gull? Yes please! I can't be sure, but I suspect I "tamed" this one juvenile Sabine's over multiple days out on Lake Ontario one September. By the last day, I drifted on calm-as-glass-water, feeding tiny handouts to my Sabine's friend - down to 5-10ft away. Freakin fantastic. Chocolate Milk!!! - yes this Thayer's Gull as a name (so does the next). Found by Peeter Musta, these birds were feeding at a nearby landfill - then roosting in PARKING LOTS at a developing power centre. The viewing/photography was amazing, and I went back multiple times a week enjoying the birds. These two Thayer's Gulls stole the show! 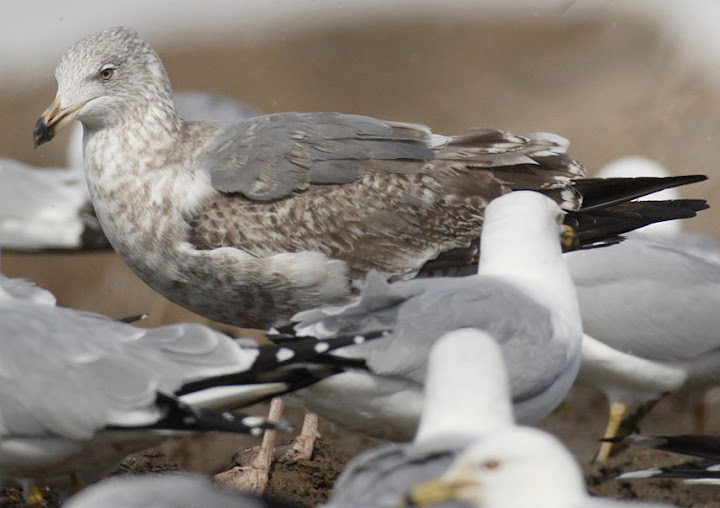 This gull (a Nelson's Gull - Herring X Glaucous hybrid - 3rd basic) was massive. Straight up. Check it out if you don't believe me. It may well be the single largest gull I've ever seen (larger than Great Black-backs). I've got a soft spot for hybrids in general, yet this beast was really memorable. This bird was the reason I started my website! At the ripe age of 16, I was already quite fond of ugly gulls - and this bird really pushed things into overdrive. The response was all over the map, and I still don't feel confident in calling it anything... Talk about excitement! It is a rarity-hunters dream to find "first record" type birds, and I was hoping to find a first provincial record at some point in my "birding career". Lo and behold it happened when I was 22, and was a striking gull species (Black-tailed Gull). Doesn't get much better! We only had a few short hours together, braving 120kph wind gusts and driving rain, but dang they were memorable. A single photo to represent a "gull event" - 111 different Ivory Gulls in a single week. My Ivory Gull gallery would have taken up all 20 places on this list if I were doing "favourite photos" only... This image captures the beauty of the birds, the beauty of the scenery, and serves as a reminder of how amazing the entire event was! 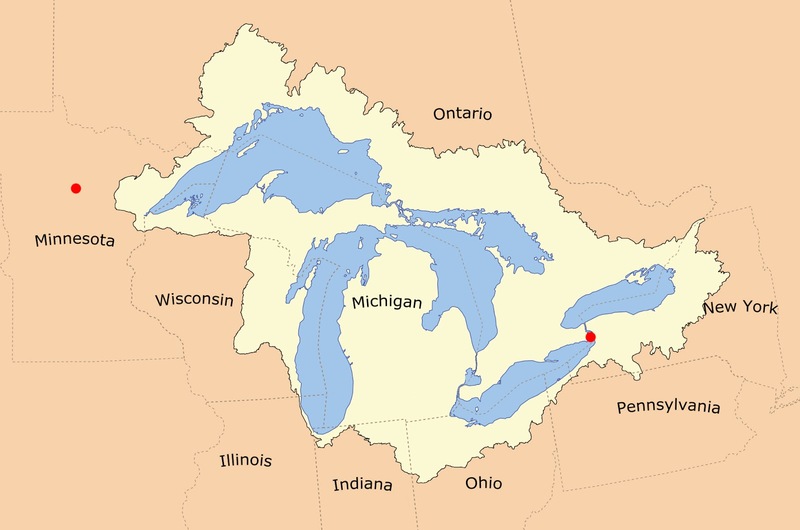 Avian Vagrancy in the Great Lakes - a look at vagrant bird species that have occurred in and around the Great Lakes Basin. These notes look at the status and distribution of the species, identification, trends in occurrence, hypothesize on factors influencing their occurrence and what the future may hold for the species in the region. I encourage birders to support their representative bird records committee. Having readily accessible records data allows people to rapidly research topics of interest or produce documents/products that others can learn from or expand upon. Having all databases uploaded to eBird may one day provide the most effective way to conduct these studies. If you know of additional records not found in these sources, please leave it in the comments section below. 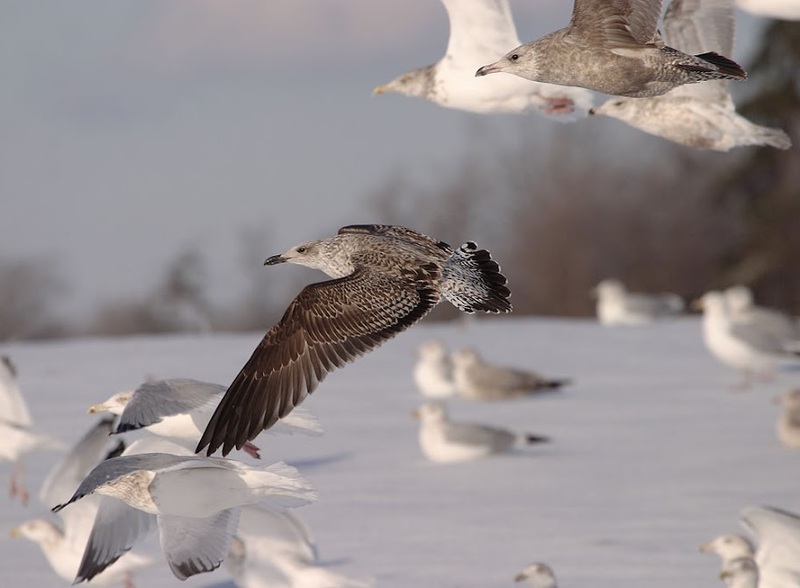 Additional species accounts on avian vagrancy in the great lakes region will continue. 7 October - 2 November, 2013, Buffalo, Erie and Fort Erie, Niagara. (Niagara River) Photos. Definitive alternate female, leucogaster. Also at Long Point, Ontario and Lowbanks, Ontario. 23 August - 9 September, 2014. Lake Champlain, Various. Photos. Female. This stunning sulid hails from the tropical waters of the Americas, but has increasingly shown a penchant for wandering. Even considering the species vagrant tendencies, a record in the Great Lakes was truly remarkable. An individual here would have traveled at least 1800km from the species core range to reach our region. The spectacular size and structure and habits would lend to a high detection rate; although an increase in records beyond the species normal range has been a recent phenomenon making it challenging to detect any patterns in occurrence or predict the future of the species in our region. Distribution of Brown Booby records in the Great Lakes Basin. Documentation: A report of this species in the Great Lakes region is likely to receive great scrutiny. Thankfully the distinctive appearance should lend itself well to a written report. A large species with a five foot wingspan, birders could focus on structure to help eliminate most other species. Pointed at both ends, and long pointed wings recall Northern Gannet, which may be the only species truly requiring separation; although birders would be served well to eliminate gulls, pelicans, herons and perhaps frigatebirds for good measure. Adult plumages are sharp and contrasting; brown and white, with obviously pale bills. Juvenile and subadult birds can be surprisingly dull. Time of year may be a useful separating factor between this age and juvenile Northern Gannet - more expected on the cold days of November. Observe the juvenile Gannet's cold, dark and speckled plumage; especially the white U on the uppertail coverts. Notes on fine plumage details and overall impression will be heavily relied upon for the surprisingly plain juvenile Brown Booby; ensure you see warmer brown tones to the plumage! The two regional records are of adult (or near adult) females, and are well photographed. Detection: both records had a prolonged stay, and was detected at three or more well spaced locations on Lakes Erie and Champlain. This is a species that would draw the eye of the most casual observer; even without its propensity for landing on boats of all sizes. This combination of striking features and occurrence in close proximity to human activity indicates a high detection rate; with the two records likely being a more accurate representation of occurrence in our region, relative to other vagrant bird species. Weekly detection and occurrence of the Brown Booby throughout the calendar year. Factors of Occurrence: It is difficult to detect any factors or trends in occurrence with single records; but as a subtropical oceanic species it is not a stretch to assume that tropical cyclones and their remnants may be primary factors in bringing an individual to our region. The initial date of the 2013 occurrence falls in early October; subsequently staying for nearly a month. Long-staying individuals decrease the confidence in tying any meteorological influences in occurrence; as it becomes harder to know when exactly the bird arrived on our shores. With the 2013 record in the Great Lakes, I somewhat arbitrarily believe that October 7th was the true arrival of the bird on Lake Erie, due to a combination of the account of the finders of the bird (who also believe it was a fresh arrival) and the meteorological conditions associated with the date it occurred. Reproduced below is a CONUS surface analysis from October 6th, 2013. In the Gulf of Mexico we can see the post-tropical remnant low of Tropical Storm Karen and a 1003mb low pressure centre over the Great Lakes. A potential meteorological explanation is complex, as both systems are relatively weak; where Karen entrained and/or displaced the Brown Booby inland, where it was then adrift overland. Once over land the Brown Booby may have followed the strong winds associated with the converging air masses towards the low pressure in the Great Lakes. After such a flight; the waters of Lake Erie were perhaps relatively welcoming; with the strong southwest winds of October 7th bringing the bird to the Buffalo/Fort Erie area. Such a complex explanation would be impossible to prove; yet such unique circumstances may be required to bring such an outlandish bird to the Great Lakes. The 2014 record is problematic to place. Initially detected on 23 August; there was little significance from a meteorological perspective on both this day and the days preceding it. Noteworthy is another weak low pressure system in close proximity to the occurrence on Lake Champlain. If August 23rd was the birds true arrival in the region; then it is possible that east winds brought the bird from the nearby Atlantic seaboard - from one vagrant location to another. There is potential that an individual vagrant bird is perhaps MORE susceptible to changes in weather (and additional vagrant flights) than resident birds; but this may require more research. Reproduced below is the surface archive for August 22, 2014. Future records: The Atlantic Hurricane season officially runs from June 1 - November 30th, however there is a pronounced peak of activity from mid August through early October. The great irregularity of storms affecting our region means that birders can focus their efforts during specific events; rather than by following the calendar. An increase in vagrancy records along coastal shores is a poorly known phenomenon; and other (exceptional) inland records may be likely as shown by the 2014 record which may not be tied to significant meteorological events. If current trends continue then additional records may be possible; however any change in pattern could halt current trends and once again making the Brown Booby an unthinkable visitor to our shores. It will be interesting to monitor the future of the Brown Booby in the Great Lakes region and elsewhere throughout North America. A high detection rate will help to paint a clearer picture as time passes; with or without additional records. The August-October timeframe appears most likely for future records; yet June and July should also be considered. I would like to thank those that continue to document unusual bird observations, which were invaluable in creating this account. 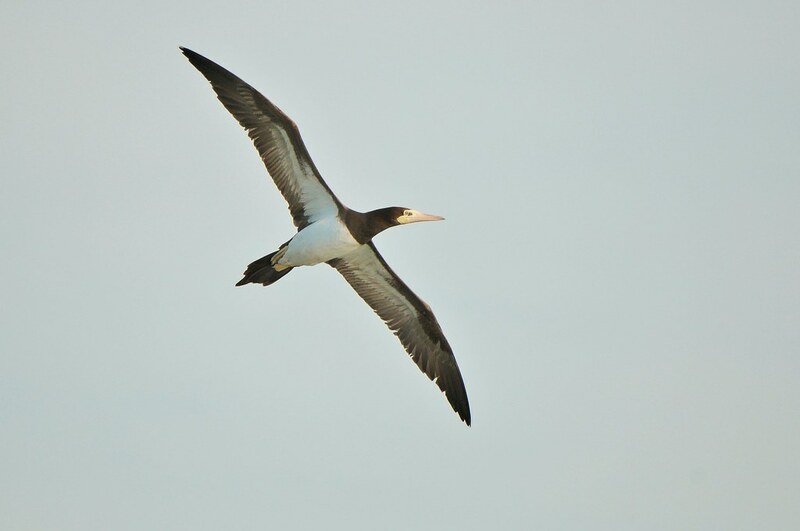 If you know of any additional records, references or new thoughts on the status of the Brown Booby in the Great Lakes, please leave it in the comments below. This account can and will be updated going forwards. Given the incredible potential for the discovery of vagrant birds associated with tropical storms and hurricanes it comes as no surprise that there is considerable interest among the birding community in regards to these occurrences. Combining established terms with a few new ideas, I propose this terminology in an attempt to help categorize the unique avian discoveries associated with these storm systems and theorize on how the meteorology is responsible for them: Grounded, Deviated, Displaced, Entrained or Adrift. Major Hurricane Sandy (2012) provides a case study for the use of these terms. A term often used for the effects of general precipitation, extratropical low pressure systems and cyclones also strongly applies to tropical cyclones and their post-tropical remnants. 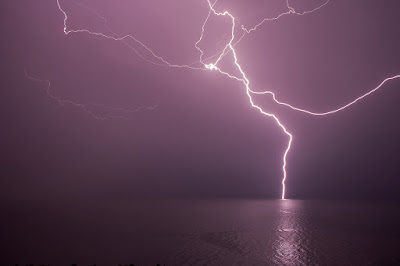 The mere nature of powerful weather systems is a basic weather process where low pressure occurs in the centre, with all low-level air flowing into that spot. In terms of migrant birds, this air flow would be likely to draw the birds closer towards the centre of the storm where winds and precipitation increase. Presumably any individuals who have become caught up near the centre of a very powerful storm such as a hurricane are unlikely to then be able to leave, as flight in any direction presents headwinds that would impede flight. Indeed, it may be only the most powerful birds that would even be capable of escape while the rest would eventually be forced to take shelter and ride out the storm off the wing. This process is perhaps best demonstrated by the frequent groundings of large numbers of strong migrant shorebirds such as White-rumped Sandpipers and Hudsonian Godwits in Ontario over the years. The grounded terminology can also be applied to some vagrants associated with the passage of these powerful storms as the process of drawing birds towards the centre and subsequent grounding can apply in the same way. A remarkably large Hurricane such as Sandy was a prime example of this as vagrants such as Gyrfalcon, Ross’s Gull and Northern Lapwing were recorded in both Canada and the USA following the storms passage despite the fact Sandy’s entire track did not cross any area where these species are known to occur regularly. It is therefore likely that the massive wind field of the system was able to draw these species towards the centre of the storm from great distances and subsequently ground them at locations where birders were actively searching for other hurricane waifs. A proposed “middle ground” term somewhat between birds grounded or displaced by powerful weather systems, as used in the case of hurricanes here. Hurricane Sandy provided some superb examples of species that were very likely deviated from their expected migration routes or patterns of occurrence; primarily Brant. As the wind field of Sandy curved N and NE winds into southern Ontario, large numbers of Brant occurred throughout the southern half of the province to the west of their typical migration route. One can assume that these migrants, who had recently left the James Bay region were deviated off course by Sandy’s winds in what may have been little more than an inconvenience or a simple attempt at energy conservation during the Brants’ migration. It is important to note that birds directly involved in migration need not be the only example of deviated, as in other scenarios birds could be deviated beyond their typical range of occurrence by the same process. It is also worth noting that this process can often be shown by extratropical storms as well. This is in contrast to birds directly displaced by a Hurricane, as detailed below. Black-legged Kittiwakes likely deviated from the mouth of the St. Lawrence to Van Wagner's Beach, Ontario on Oct 29, 12. The date and wind direction at the time were used to determine the reasons for their occurrence here. 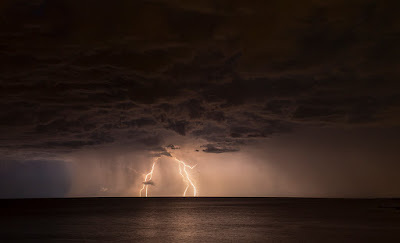 A term that has been used in the past to detail the potential for vagrants associated with hurricanes which also played a significant role in the unique avian occurrences in Ontario during Hurricane Sandy. Where species such as Brant were likely deviated on their migration to little concern or consequence, a prime example of a species often displaced by a Hurricane would be Leach’s Storm-Petrel. One of the token species involved with Hurricane Sandy these birds occurred as powerful winds (presumably around tropical storm force) physically moved individual birds ashore and inland. While impossible to say for sure, this action was likely against the birds’ will; as a combination of their surroundings, along with their own physical abilities resulted in them being displaced to areas where they are rarely or never found. Indeed it was documented that some Leach’s Storm-Petrels met their demise soon after their discoveries at inland sites. 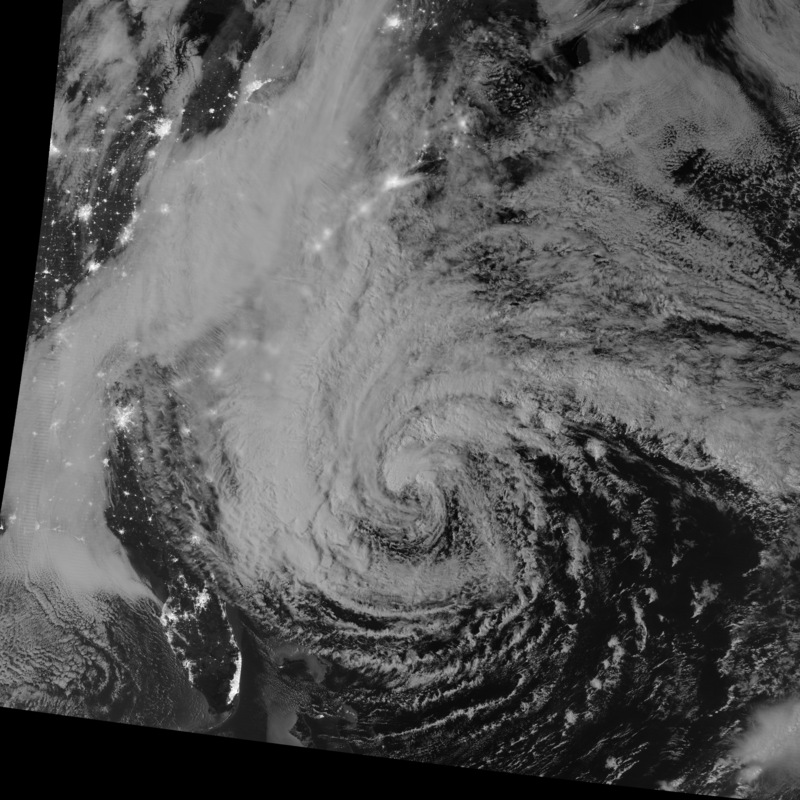 While it is possible for extratropical storms to cause displacement of birds in this manner, it is often strongly associated with Hurricanes as their large size and incredible power are a predictable event to observe the phenomenon. Leach's Storm-Petrel displaced by Hurricane Sandy to Hamilton, Ontario -2012. The key here is the physical, forceful movement of a bird to a new location. This definition would also apply to the appearance of pelagic species "on shore" during hurricanes along the seaboard. Perhaps the only term here that can be specifically linked to Hurricanes, it is important to note that Hurricane Sandy likely did not produce any entrained birds in Ontario and likely very few overall in the USA. The term entrained has been used to describe how birds become entrapped within the eye of a powerful Hurricane. While the eye of a Hurricane is typically calm, clear and sunny when well formed; the nearby eyewall is generally the most intense part of a Hurricane, with winds in the 150-300kmh range. One can only assume that birds become entrained when they chose to stay inside the clear and calm eye, rather than attempt to escape into the intense thunderstorms with 200+kmh winds that are continually blowing them back towards the calm eye. This process is would be very rare in extratropical storms, given the potential requirement of an eye feature for it to take place and distinguish the phenomenon from displaced birds. (It would still be possible to "follow" a weather system though, without an eye feature). A hurricane forms an eye only when it is well organized within favourable conditions and is due to the difference in nature of a warm core tropical system. For most of Sandy’s life, the system did not have a well defined eye and would be unlikely to have trapped very many birds in this manner. Other Hurricanes to affect in Ontario in the past have not had an eye feature when present in our area, as an eye would collapse with any extended interaction with land. However for the simplification of the term, any species or individual previously entrained within a Hurricane should maintain this definition even after the eyewall collapses and the birds are transported further by strong winds. Black-capped Petrel from Fort Erie, Ontario (2003) after Hurricane Isabel. The eye had collapsed by landfall, but the bird was likely entrained by the storm while a major hurricane while at sea. A final term proposed to help explain many remarkable bird observations that have occurred following tropical storms or hurricanes that are difficult to apply to the above criteria. The term can be used to describe records where birds have occurred well away from the direct area of influence from a tropical system, often several days (or more) removed from the dissipation or absorption of the tropical remnants as well. In short, it involves individuals or vagrants that were affected in any of the above four criteria, but have become unable to return to their typical range or behaviours. These birds could now be classified as “adrift” as they wander widely in new areas for any period of time as long as they survive. It was difficult directly attribute any Hurricane Sandy sightings in Ontario to this phenomenon, past examples display this effect well. The quintessential species that could be attributed to an “adrift” bird is the Magnificent Frigatebird, which is well known to occur long after a tropical system has dissipated, and sometimes great distances from the area of influence. Northern Lapwings grounded in North America during Hurricane Sandy were "adrift" for several months after the storm had passed. Northern Lapwing from February 2013 in Georgia. Likely "adrift" from the effects of Hurricane Sandy in October/November 2012. Additional thoughts, comments, ideas etc welcome. This post can and will be updated going forward. Occasionally I get a request for some advice on how to run a "Great Lakes Pelagic" boat adventure. For a few years now my Dad and I have rocked the waters of Lake Ontario in our little inflatable zodiac; having an absolute blast in the process. Not only that, we've scored some awesome bird sightings and encounters. In the past I have been rather guarded about my knowledge on how to maximize numbers and/or encounters; people hardly pay attention anyways when you try and detail the intricacies of bread-tossing... Yet now I say "screw it!" and have decided to put my thoughts into words here. If you have any ideas, experience or questions on the issue; please leave a comment below. What to do: Start ON SHORE or NEAR SHORE. Throw bread. Attract gulls; preferably the naive local "parking lot" Ring-billed Gulls or the like. Make sure they know you're packin the good stuff before starting to move offshore. If you have a very healthy supply, you can move out quickly - just don't stop throwing. (I've been "full throttle" before, throwing tiny tiny pieces of bread, and convinced gulls to keep pace and feed)... It doesn't matter if you lose 80% of your gulls in the process, as soon as the others see gulls feeding around your boat - they will return and look for more handouts. The important part is the gulls seeing OTHER GULLS eating. Once you have your gull supply established, you're free to puddle around (or just float); and let the rarities find you! I highly recommend that you do NOT go very far offshore, unless you're on shallow water around Lake Erie... 99% of birds are within 1-2-3km from shore. If the rarities are around, they'll find you. The important part is keeping your "feeding frenzy" looking active and fun... I will never know how to describe or detail this; but there is a FINE LINE between a fat, overfed gull that has had enough - and a hungry gull that isn't getting enough food and leaves out of boredom. 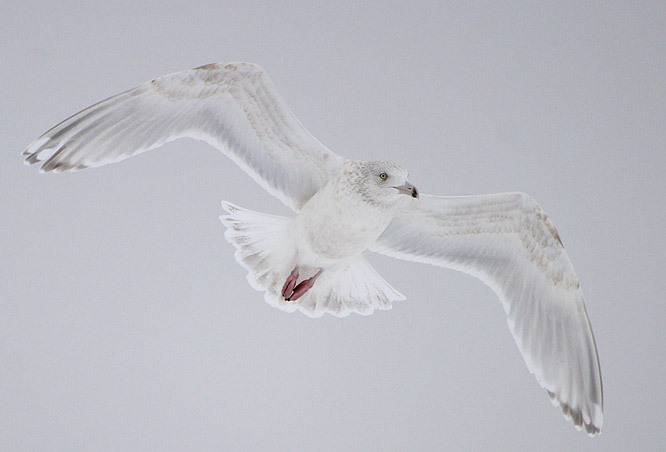 Gulls want to feel like they can get rewarded for their efforts; mix up what you're throwing. Try tossing 10 tiny pieces, or a bunch of popcorn or whatever. The strong/bully gull can't eat them all at once, so even the smaller birds have a chance. Then throw out a large soggy piece of bread; it will fall apart and all the birds will freak out trying to get their bite of the chaos. Then throw out a very hard chunk of bread that the gulls can't swallow in 0.0001 seconds - they'll chase eachother around for quite a while, keeping the activity up while not depleting your bread supply (great bang for your buck). The key is mixing it up and keeping the birds flying around/excited. Other birds see this at great distance, and will come to check you out. If you see a rare small gull, such as Sabine's, Kittiwake, Little etc - try throwing out hundreds of tiny tiny pieces of bread close to the boat. Sometimes they're willing to come quite close and grab at the little bits (so they don't have to fight with their bigger cousins). In this situation, Parasitic Jaegers could care less. I don't think Parasitic Jaegers care about anything really. They'll fly in, chase someone half a mile away, then who knows what is next. I find them very hard to photograph in the zodiac because they're always moving at 95kph and never seem to stay anywhere long. Long-tailed Jaegers might actually join into your feeding frenzy, and the gulls may come to terms with their presence (if your first "jaeger response toss" is effective)... Once everyone settles down, keep doing what you're doing and you may be in for a real treat. - Use bread... Unless you can supply your entire trip with fish parts (that FLOAT), leave the stinky stuff behind. - You may not need to travel (save gas) - just float! - There is nothing more exciting to a gull, than something else another gull as dropped. I've thrown out an apple core (among the bread) and watched 50 different gulls pick it up briefly before dropping it again. - No wind could be challenging, as the birds can get lazy. - This is the best way to get high numbers of birds. - You'll have a hard time with "other" birds - unless it's a feeding frenzy species, others will give you a wider berth. The alternative method to finding pelagics. Go WAY out onto the lake and cross your fingers that you find something in the abyss. That's it. No speck on the horizon should be ignored. Half the time (on Lake Ontario) you can hardly see a bird, so any hint of a gull is worth investigating. I've encountered some really exciting things this way (non-waterbirds, insects, large rafts of puddle ducks, raptors, swans, odd garbage etc), but it can be remarkably boring as well. Yet if you start finding gulls, your chances at Phalaropes, Jaegers etc will increase too. What to do if you encounter a Jaeger, rare gull, phalarope, well, anything really... Approach very slowly. Turn off the motor in advance and float. My Dad is the master at this. He shuts off the motor several hundred meters away and we stay low... I think he's crazy because we're remarkably far away, but within 10 minutes our momentum as brought us within 10ft of the subject bird and i'm getting great images. Some birds will not be tame (esp ducks, loons) and you have no hope regardless, but being as stealthy as possible will increase your chances. If you need to adjust course with a paddle, make sure you use the side of the boat that the birds can't see. If you need to pee - hold it. We once knocked three Common Tern's off of a log (with the side of the boat) we approached so slowly... They were THAT comfortable with our presence. - If you find a line of "junk" floating on the water. Leaves, pollen, bugs, garbage etc - FOLLOW IT. This happens quite often on Lake Ontario and you'll hopefully find small gulls and phalaropes taking advantage. - If you're out in the abyss, it is much harder to get a feeding frenzy going. It's not impossible, but there is a high chance you'll waste your bait trying to convince the birds to eat. Beyond that, have fun - wear sunscreen, deal with your seasickness in advance (if required), and DON'T GO OUT if the weather has the potential to be treacherous. Check the MARINE FORECASTS - because they understand how the lake is going to change (sometimes rapidly) in response to the weather. The patterns exhibited along the shoreline are unlike normal weather.... It can be calm as glass one minute, and rolling 15 minutes later. Oh, and if you're planning a trip; don't shy away from inviting me ;) - my rates are very reasonable! 28 June 2007, Leech Lake, Cass. Photos. Adult in definitive alternate plumage. 20-24 November 2013, Buffalo, Erie and Fort Erie, Niagara. (Niagara River) Photos. First Basic. The westernmost member of the Orange-billed Tern complex, the Elegant Tern is an exceptional rarity to the Great Lakes region; being typically found along the western coast of South America north to California. Vagrant individuals have likely traveled at least 2500km from their core range to reach our region. The species shows seasonal movements both northwards and southwards, and is known to have breeding success and failures related to global weather events. It is also a close relative to local species, other vagrants, unrecorded species and has been known to hybridize among them. Distribution of Elegant Tern records in the Great Lakes Basin. Documentation: At first impression, identification of the Elegant Tern could be viewed as relatively straightforward by birders in the Great Lakes region. Appearing as a slender version of our local Caspian Terns, it is slighter still than the vagrant Royal Tern that has occurred here; yet it is larger than the orange or red billed species of Common and Forster's Tern. 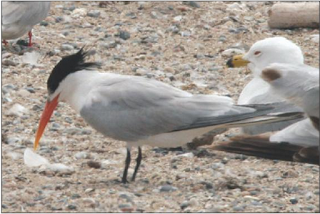 Birders should beware juvenile Caspian Terns in the fall sporting smaller orange bills than their adult companions. Upon further inspection an extremely challenging group arises with the "Orange Billed Tern Complex" consisting of Elegant, Cayenne (Sandwich) Tern, and Lesser Crested Tern of the old world. Soch and Howell (2013) provide all pertinent details on the identification of this complex and I would encourage you to read it if you are looking for more information. It is beyond the scope of this account! If you encounter an Elegant Tern on your adventures in the region; do everything you can to obtain high quality photographs from every angle. The records discussed here have been well photographed. Detection: The June record for Minnesota was present for a single day only. The New York/Ontario sighting delighted birders as it was seen with reasonable regularity for five days in late November. While it is clearly an exceptional vagrant to the Great Lakes region; this is a species that does not lend itself to easy detection. While near-shore waterbirds as a group benefit from the concentration effect along shorelines; which are often checked by local birders. A rarity from the family Sternidae is unlikely to be noticed by any except avid birders, decreasing the odds of detection. Weekly detection and occurrence of the Elegant Tern throughout the calendar year. 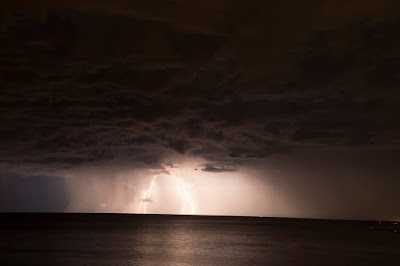 Factors of Occurrence: Initial dates of occurrence are 28 June and 20 November, showing two distinctly different occurrences in the Great Lakes region. El Nino events have been linked to the inland occurrence of the Elegant Tern (Soch and Howell), and the 2007 record comes on the heels of a weak el nino event from 2006-2007. 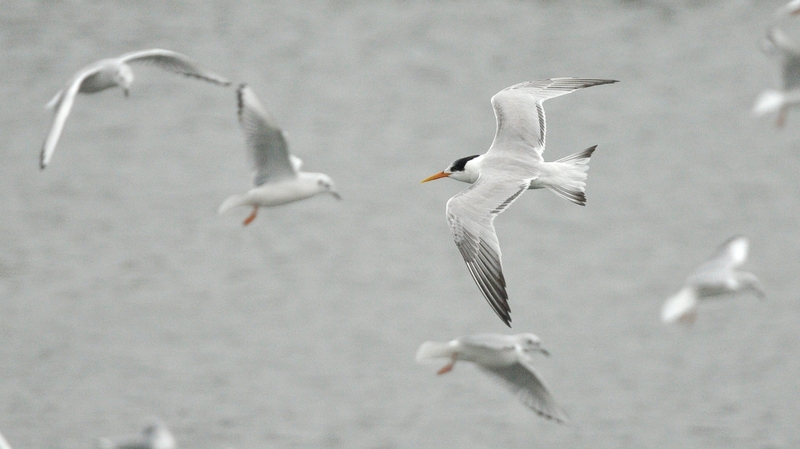 Given the increase in Elegant Tern records in recent years coupled with the lack of strong El Nino events since 1997-1998, I can't help but wonder if this factor is not as important in extreme vagrant occurrences - perhaps birders are simply more skilled and aware of the species potential to occur in eastern North America. The 20 November occurrence of a bird in first basic plumage indicates no correlation to an el nino event. The 2013 Eastern Pacific Hurricane Season was categorized as very active and a few strong Hurricanes occurred. Hurricanes Barbara & Manuel and Tropical Storms Octave, & Sonia affected the Mexican coastline throughout the season. Is it possible that the Elegant Tern was displaced inland following one of these events, and was then adrift for several hundred kilometers before reaching Lake Erie? The bird was potentially sighted over 100km away in Ohio a few days before its November 20th discovery in New York, and an possibly even before this date at the Long Point peninsula in Ontario (also on Lake Erie). A wandering vagrant is very difficult to correlate with any meteorological events potentially related to its occurrence. With such great distances involved from the species core range, it is likely that multiple factors may be responsible in bringing the species to our region. Future records: The two records to date fit two existing patterns of vagrancy. The mid-June to mid-July period has shown to be favourable for the occurrence of rare Tern species in the region. Birders have had success finding both vagrant Terns and Gulls were non-breeding concentrations where these families occur. Occasionally these concentrations persist into fall when numbers are augmented by migrants allowing for a fall record to materialize in the August-September window. The November record matches other unexpected vagrants in the region, when strong extratropical cyclones are capable of displacing young-of-the-year vagrants great distances. It will be interesting to see if future records of the Elegant Tern materialize in the region. Roy and Pawlicki (2014) show that most inland and Eastern North American occurrences of the species have been in recent years. The Tern family does not come into close contact with humans on a regular basis, and the species is not distinctive enough to draw the eye of a casual observer. This reduces the potential for detection compared to other vagrant species. If recent occurrences in the eastern part of the continent are closely or distantly related to a specific suite of events, it is possible that we will once again have a prolonged period with no occurrences in the region. I would like to thank those that continue to document unusual bird observations, which were invaluable in creating this account. If you know of any additional records, references or new thoughts on the status of the Elegant Tern in the Great Lakes, please leave it in the comments below. This account can and will be updated going forwards. A long time ago (when I took photos) I started a little series of posts showing an unedited copy of an image, followed by the final product - so show the changes that occur during my editing process. For reasons unknown, I wanted to do another. One of my favourite things to photograph. Wonderfully challenging and a treat when you get it right. Probably the hardest part is having very little time to practice the craft and long stretches between opportunities. 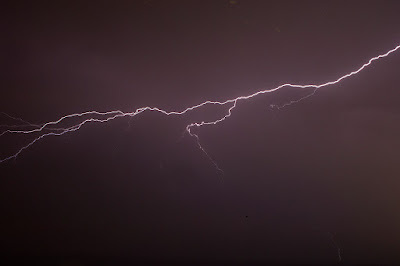 Recent summer storms helped me land another (single) image that I'm pretty happy with (the current header of the blog). 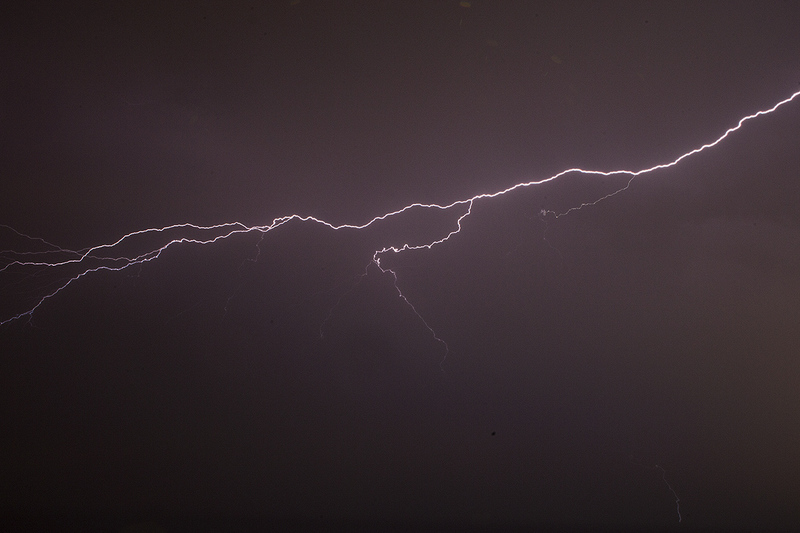 I'm not sure if I have a lightning photo that wasn't "saved" by some editing after the fact. Let's take a look at the UNTOUCHED Raw image as it came out of the camera. 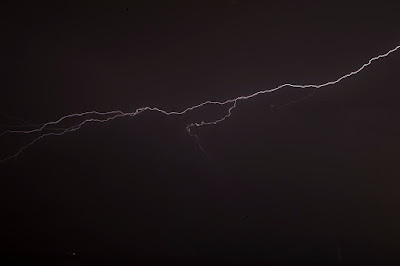 When editing this image, I paid attention to the surrounding elements - which really "make" this image, as the bolts are striking - but small. The texture of the water, the clouds, the rain, and the contrast below the clouds (to the left of the rain) all had to be preserved while getting the bolts to the right place. What do you think? Did I get it right? Anything you would change? Still nothing special, but you can get a better feel for the detail. The horizon actually appears along the bottom of the shot, but it's so dark that I couldn't really bring it back without wrecking the other elements. - The bolt. I had to bring it back down, without losing the "glow"
- The colour. 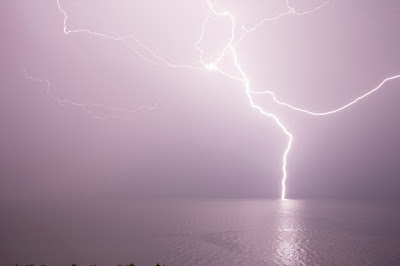 Just how "purple" should lightning be? - The horizon. Trying to tweak the contrast meant I could easily lose it, but that would be bad! Use the "lightbox" feature to flip back and forth between the untouched file and the final product & let me know if you see any gross errors or have ideas for improving the editing process!